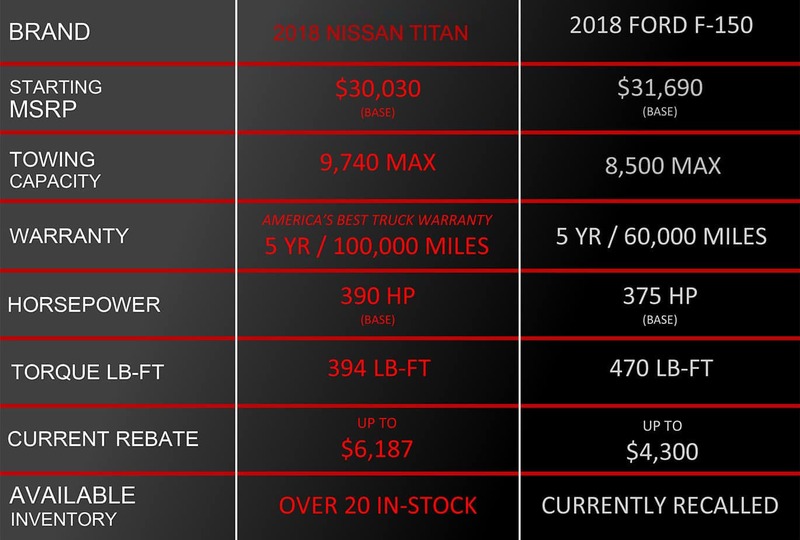 As you can see, the 2018 Nissan Titan comes out on top in almost every category when compared with the 2018 Ford F-150. 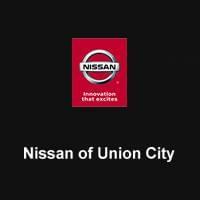 Whether it’s rebates, horsepower, warranty or towing capacity, the new 2018 Titan models at Nissan South of Union City have what it takes to dominate the competition. Stop in and see for yourself what these exciting new Titan models have to offer, then take your everyday Union City drive to a completely new level while leaving Ford F-150 in the rearview mirror.